The cast and crew of Finding Bigfoot will be returning to Ohio to film a special episode highlighting the events of season two on Saturday, January 21. Much like “Behind the Legend,” the seventh episode in season one, the cast will premiere clips of upcoming episodes and field questions from a live audience. These clips will be not only highlights of what will be seen in upcoming episodes, but also special behind-the-scenes clips that will not make the final edit in the regular episodes. The event will take place at the scene of the jam-packed town hall meeting from the upcoming Ohio episode, Deerassic Park. This facility is almost literally at the door step of Salt Fork State Park, well-known bigfooting hot spot in eastern Ohio. The filming is open to the public, and totally free. If you are interested in attending, please arrive by 11 am, as there is limited seating available. Filming starts at noon, and is expected to last several hours. If you are able to come out, be sure to say hello to me and introduce yourself. Perhaps I'll see you there. So exciting! 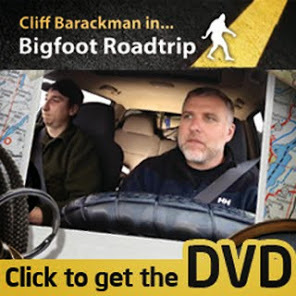 My daughter (almost 6) will be so excited (even though I'll be waking her up super early) to find out she'll be seeing a filming of Finding Bigfoot. Best. Day. Ever. (Unless, of course, there is no room in the inn...) Thanks for the heads up! I'm so glad you're doing this. Omg.seriously? Why don't you actually do something important. heres a suggestion bigfoot has been around for possibly hundreds if not thousands of years. so could bigfoot actually be the same creature that legends portray as PAN a guardian of the forests. hundreds of years ago certain people used to worship the creature known as pan. i am a firm beleiver of bigfoot even though i have never seen one. i know there are things of the earth that man has not yet discovered just because some or most people havent see a creature for there self doesnt mean it does not exist. ther is a lot of animals i have never seen but i know they exist. -ALL LEGENDS ORIGINATE FROM SOMEWHERE!